The Indiana Pacers (39-28) travel to Philly to take on the Sixers on Tuesday night. 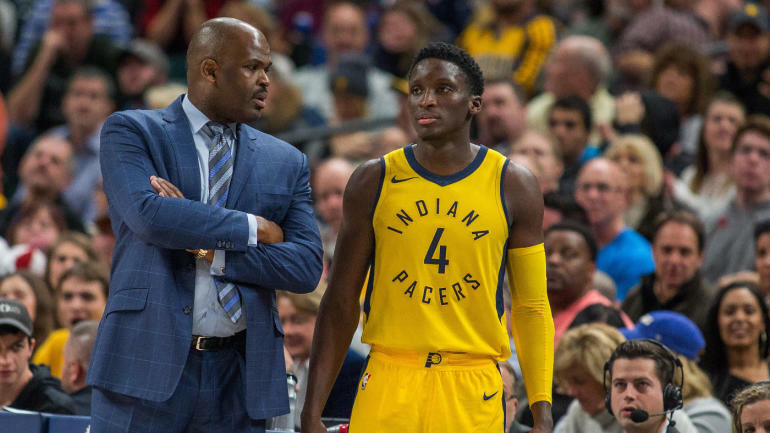 The surprising Pacers led by first year All-star Victor Oladipo and one of the leading candidates for coach of the year in Nate McMillan are currently third in the Eastern Conference. The Pacers are a half-game ahead of the three time Eastern Conference champions (Cleveland Cavaliers). They are 7-3 in their last 10 games and are just a 500 team away from home (16-16). A win tonight against the Sixers will put them a full game and a half ahead of the Cavs. The Philaldelphia 76ers (36-29) led by their two young studs Ben Simmons and Joel Embiid are currently sixth in the East. They have a first year All-star in Embiid and leading candidate for Rookie of the Year in Simmons. They are 20-10 at home on the season. If the playoffs started today these two would face one another in the first round. The season series is tied at a game a piece.